Learn how to troubleshoot your electric range and oven. These are essential steps to take before purchasing kitchen appliance repair parts . A Fluke digital multimeter comes in handy in locating malfunctions. Even though theres a large selection of gas ranges and ovens on the market today, the electric range (or electric stove) takes the cake in sales. Almost every house has one since youve got to eat, and face it, food just tastes better cooked. The competition between manufacturers is tight; Maytag vs GE, Hotpoint against Viking; the list goes on and on. 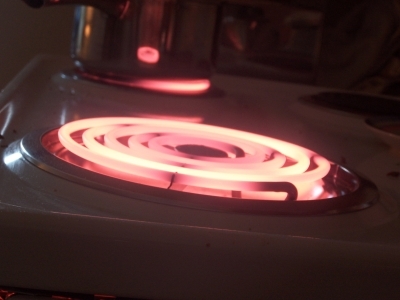 This article shows why troubleshooting and repairing your electric range is within your grasp. Many of these tests are just continuity tests using a Fluke digital multimeter. Any similar analog multitester will work as well. A general knowledge of basic home wiring wouldnt hurt. Even though electric ranges might look complicated, dont be intimidated. Youll find some minor differences between most brands and their various models, but the operation is basically the same. Because of this, troubleshooting is quite generic. They function on a 240/120 volt circuit. The 240 V portion drives your heating elements. The 120 V portion powers virtually everything else: the clock, operating lights, and everything else. Since you have dual voltage requirements, there are two breakers or fuses associated with this appliance. This means that there will be two places to look at if theres no power. It also means there are two spots to disengage electricity when performing maintenance tasks or installing appliance replacement parts. Note: If youd rather not mess with this job yourself, at least read on so you'll know what to expect from a technician. To find an appliance repair company in your area thats been rated by your neighbors, I highly recommend Angies List - Ratings, reviews and sometimes revenge. See what local homeowners say about the service companies they hire. No power to the unit? Ensure that its plugged in and the circuit breaker isnt tripped. Is the electric cord damaged or loose? Test the cord. Is your door hinge broken? Replace it or call for service. Is your oven door mis-aligned? Adjust it. Have the door springs loosened up or been broken? Adjust or replace them. Has your burner switch gone on the fritz? Replace the switch. Is Your bulb loose or has it burned out? Replace or tighten it. Is your light socket defective? Replace it. Is the light switch itself malfunctioning? Test it to find out; replace it if it tests bad. Has your oven vent clogged up over time? Clean out your vent and the associated duct. Defective power cord or a bad connection on the terminal block? Test them and replace where necessary. Is your range only getting partial power? Check out the circuit breakers or fuses. Do the element terminals have any loose connections? Reposition the element/s. Has a range element shorted out? Find out by continuity testing; replace as needed. Bad burner switch? Find out by testing; replace if needed. Do you have a bad element receptacle? Find out by testing; replace if needed. Is the smoke eliminator malfunctioning? Call for service or refer to users manual. Is the broil or baking element on the fritz? Perform a continuity test; replace if necessary. Is your temperature control defective? Find out by testing; replace if needed. Is your oven door lock not engaging properly? Be sure the door is locked and try again; this is a safety mechanism. Is the clock timer bad? Check on the clock timer fuses and replace if needed. Is the oven selector switch defective? Find out by testing and replace if needed. Enter your model number into the text box below and click the search button to locate replacement parts. The above troubleshooting methods should allow you to diagnose your range and oven issues. For more detailed information or electrical schematics, consult your model-specific literature.